Since last year I’ve been working on a project which I can’t say much about – except that I’ll tweet vociferously about it once it’s live. It involves me being on camera and possibly using green screen. The majority of my experience on camera has been using an iPad leant against a stack of books. I’m tentative, nervous and excited and I wish I could say more, but as I probably should keep quiet (it might go awry, it might not happen, it’s probably not allowed as it’s with my employer)! 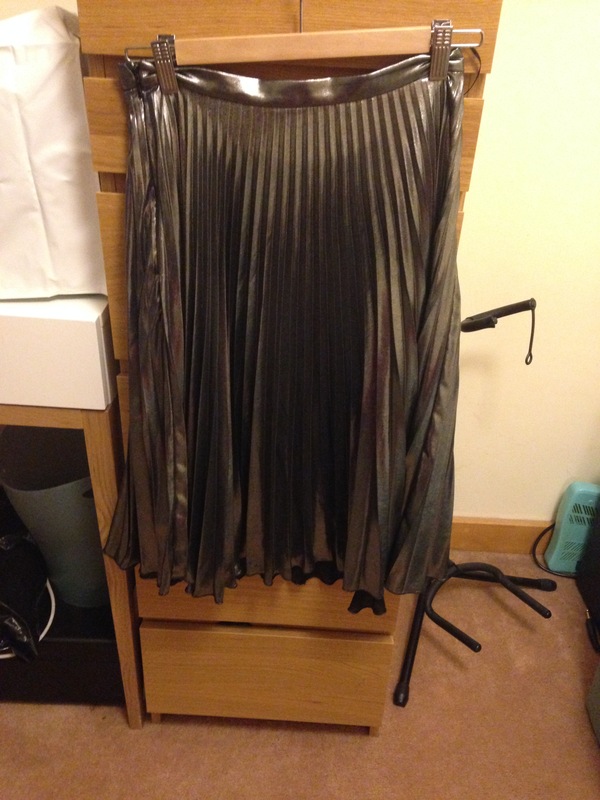 … And a stunningly shiny skirt. Roxanne de Bastion – live in London!